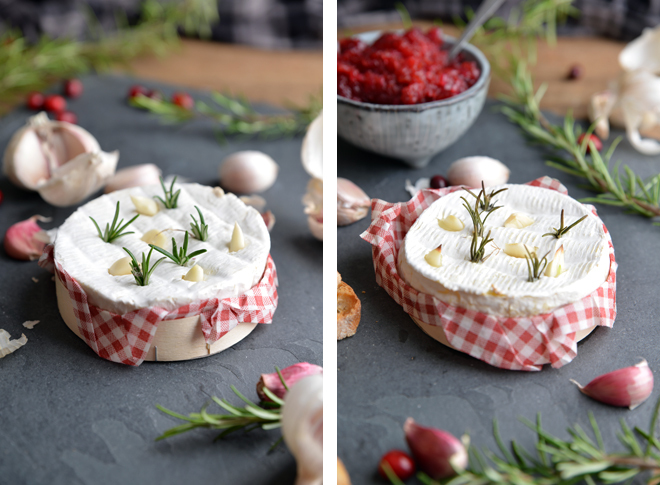 If you think you don’t like camembert and want to run a mile from the fridge when you open it because you just can’t stand the smell, you still need to try it baked. I had camembert in a cold tart probably 7 years ago and I was convinced it tasted like feet and somehow this is the first time I’ve tried it baked. I’m not really sure why I waited so long, I’d never really thought about it before but I can feel an obsession coming on. I’ve already suggested we have it for Christmas and my sister was talking about having it at hers the day after boxing day...I foresee a lot of stomach aches in my future; entirely worth it though! Dice the onion and add to a saucepan with the butter and cook. Roughly chop the cranberries in the food processor. 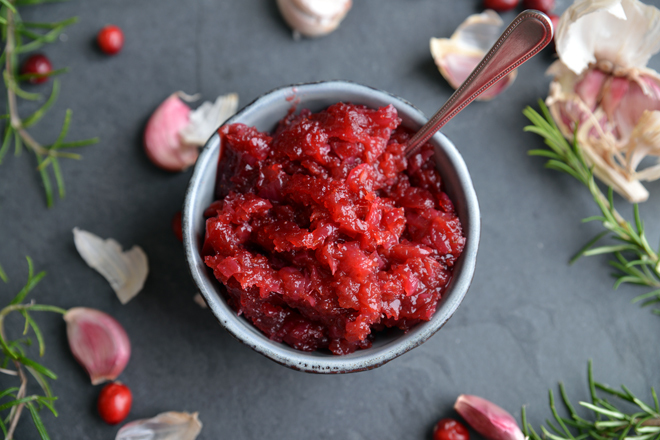 Once the onion has softened add the chopped cranberries and the rest of the ingredients into the saucepan and leave to simmer with the lid on for 1-1½ hours, checking occasionally. Remove the cinnamon stick and cloves before serving. 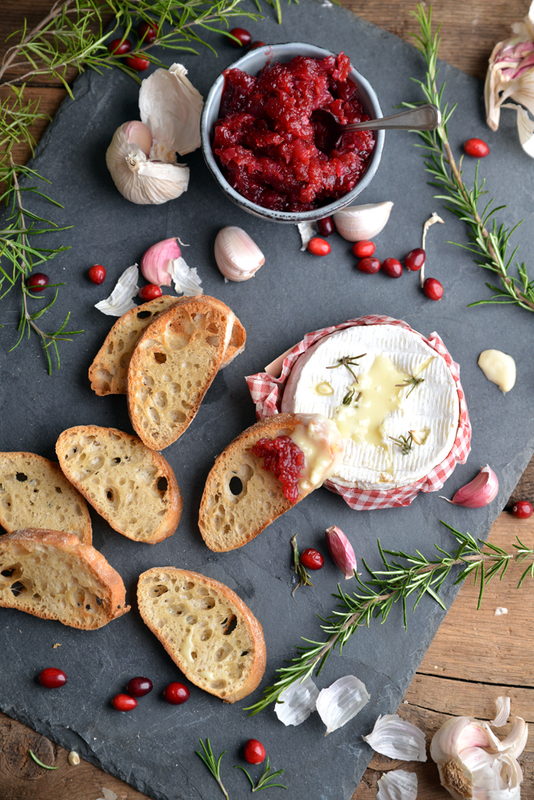 Make holes in your camembert and stick garlic cloves and sprigs of rosemary in. 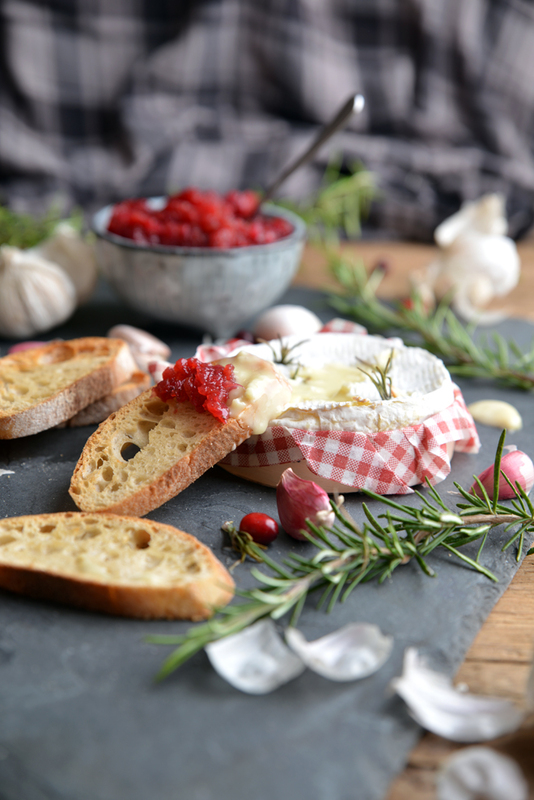 Slice your ciabatta diagonally place on a baking tray, drizzle with oil and rub with garlic, place your camembert in its container on to the baking tray with your ciabatta and cook for 10 minutes or until cheese is warm and gooey and the bread is toasted and golden brown.